Could trams solve Bath's traffic chaos? According to the new survey from INRIX, it's quicker to cycle in the city than drive or catch the bus. 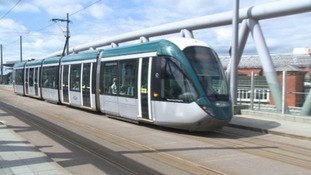 Bath's congestion is well documented and a conference has been held in the city to investigate if trams could be the solution. Bath is one of the worst areas in the country for air quality and fumes from vehicles are often above legal limits. A new campaign titled 'The Final Straw Cornwall' is aiming to prevent further plastic pollution in the county. Council leaders are set to approve plans which could lead to charging polluting vehicles to enter Bristol. Pollution levels in some parts of the city are now double the recommended national limits. Cabinet members will vote this afternoon on four options for clean air zones, with a final decision expected next year. The council has launched a joint 'clean air zone' feasibly study with South Gloucestershire Council. Once complete next year, the study will inform the action plan which could see the introduction of a London-style congestion zone. The latest council report recommends that Bristol Mayor Marvin Rees approves the development of a clean air zone for Bristol and applies for additional funding to create an action plan. There is a warning that pollution in our towns and cities is risking the health of some of their most vulnerable residents. A man has been fined £8,800 for operating two illegal waste sites in Gloucestershire. Sam Phelps, who ran ‘XP Wood Recycling’, pleaded guilty to two charges of deliberately operating illegal waste sites, which were a risk to the environment and a nuisance to the local community. Mr. Phelps was fined £400 for each offence and ordered to pay costs of £8,000 at Cheltenham Magistrates court yesterday (7 March 2016). While on a site visit, an Environment Agency officer found a pile of shredded waste wood estimated to be at least four times the authorised amount. The nearby Severn Estuary, a Site of Special Scientific Interest, was at risk of pollution from the water run-off from this site.